UNITED NATIONS -- The operation to liberate the Iraqi city of Mosul marks the beginning of the end of the Islamic State group’s so-called caliphate in Iraq, the U.N. envoy for the country told the Security Council on Wednesday. 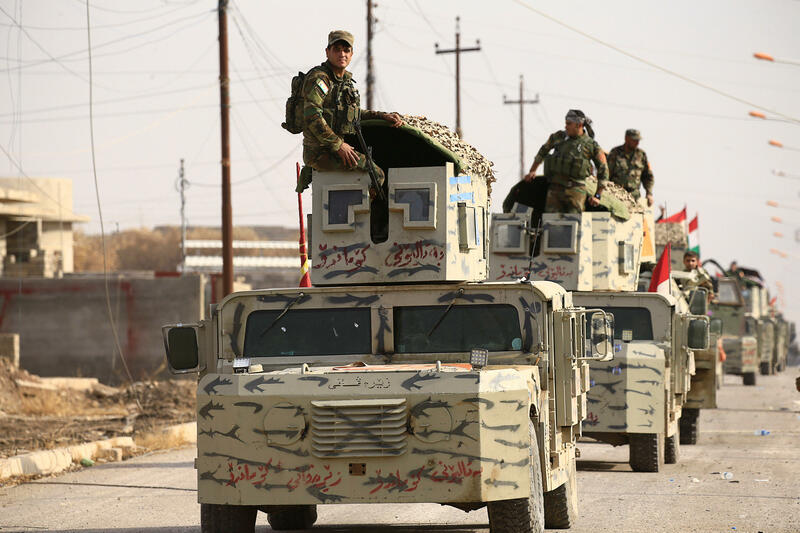 Jan Kubis said efforts by the Iraqi Security Forces, the Peshmerga and other allies are making steady progress in liberating the city, while seeking to minimize civilian casualties. “This liberation operation marks the beginning of the end of the so-called ‘Da’esh caliphate’ in Iraq,” Kubis said, using an Arabic acronym to refer to the group. Kubis also said he has received credible reports of ISIS forcing tens of thousands of civilians to relocate inside Mosul, for use as human shields. He warned that reconciliation and restoration of confidence in the government was necessary if the victories against IS are to be lasting. “Reconciliation at both community and national level is the way to make military victories against ISIL sustainable, to make Iraq truly peaceful and united,” he said, using another acronym for the group. Kubis said the operation to liberate Mosul has so far displaced some 35,000 people, with about 20,000 of them being sheltered in camps organized by the U.N. and its humanitarian partners and the rest being housed in host communities. He said the humanitarian agencies were continuing to prepare for an ever greater number of displaced people as winter approaches. Kubis also noted that the U.N. Assistance Mission in Iraq had referred scattered reports of acts of revenge against captured IS fighters to the Iraqi government for investigation. “The Government must continue its efforts to prevent such incidents from occurring and to investigate and punish any such incidents should they occur,” he said.